This path-breaking and thought-provoking article, which has already had significant analytical and policy influence, remains as relevant today as when it was published—despite some encouraging developments in cross-Strait relations. I commend it to anyone interested in these important and difficult issues. It merits a very careful read. William S. Murray, “Revisiting Taiwan’s Defense Strategy,” Naval War College Review, 61.3 (Summer 2008): 13-38. China’s recent military modernization has fundamentally altered Taiwan’s security options. New Chinese submarines, advanced surface-to-air missiles, and, especially, short-range ballistic and land-attack cruise missiles have greatly reduced Taiwan’s geographic advantage. Taipei can no longer expect to counter Chinese military strengths in a symmetrical manner, with Patriot interceptors, diesel submarines, surface warships, F-16 fighters, and P-3 maritime patrol aircraft. Taiwan must therefore rethink and redesign its defense strategy, emphasizing the asymmetrical advantage of being the defender, seeking to deny the People’s Republic its strategic objectives rather than attempting to destroy its weapons systems. This would enable Taipei to deter more effectively Beijing’s use of coercive force, would provide better means for Taiwan to resist Chinese attacks should deterrence fail, and would provide the United States additional time to determine whether intervening in a cross-strait conflict was in its own national interest. The strategy would also place the responsibility for Taiwan’s defense squarely on its own military. Finally, it would restore the United States to unambiguous compliance with the Taiwan Relations Act. The People’s Republic of China (PRC) has been increasingly explicit about its military modernization objectives. 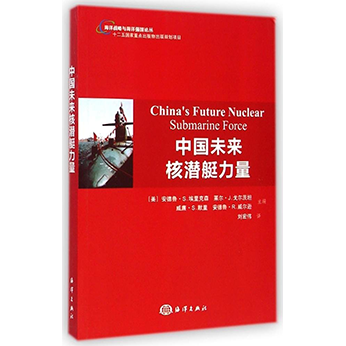 China’s 2004 white paper on national defense stated that “the PLA [People’s Liberation Army] will . . . enhance the development of its operational strength with priority given to the Navy, Air Force and Second Artillery Force, and strengthen its comprehensive deterrence and warfighting capabilities.” The introduction of new classes of advanced surface warships; the unveiling of new nuclear-powered submarines, tactical fighter aircraft, and short- and medium-range ballistic missiles with advanced warheads; and an antisatellite demonstration—all attest to the determined pursuit of these goals. Many analysts believe that China’s near-term purposes are to deter Taiwan from declaring independence, to provide leverage by which to coerce a reunification with Taiwan if deterrence fails, and to inhibit or delay U.S. intervention in such a conflict. Chinese employment strategies for these new weapons systems and potential capabilities remain unknown, though statements from senior leaders provide important hints. For example, President Hu Jintao is said to have stated in August 2007 that China had five major military priorities relative to Taiwan: establishing military readiness, conducting demonstrative exercises, “imposing a blockade on the Taiwan Strait,” “carrying out combined firepower attacks,” and “[conducting a] cross-sea landing.” Guo Boxiong, vice chairman of the Central Military Commission, boasted in March 2008, “We have the resolve and capability to deal with a major ‘Taiwan independence’ incident at any time.” The likely use of force would encompass three components: long-range precision bombardment, invasion, and blockade. These attack mechanisms would also likely be conducted in close coordination, not independently. Taiwan faces the daunting challenge of how best to deny China the fulfillment of these objectives. Previous studies of potential China-Taiwan conflict scenarios have concluded that Taiwan (either acting alone or with the assistance of the U.S. military) could defeat PRC coercion, thus presumably ensuring reliable deterrence. Several of these studies have asserted that the Second Artillery (the PRC’s strategic rocket force) possessed only a limited inventory of relatively inaccurate short-range missiles with which to attack Taiwan, restricting its role to what Robert Pape calls “coercion by punishment,” terrorizing or inflicting pain on the population—a strategy that observers like Pape argue is rarely successful. These circumstances, however, have now changed profoundly. Over the past decade China has greatly enhanced its capacity to “reach” Taiwan with far more accurate and decisive capabilities, and recent analyses question Taiwan’s near-term ability to resist coercive force. For example, the PRC’s expanding arsenal of increasingly accurate ballistic missiles can quickly, and with complete surprise, cripple or destroy high-value military assets, including aircraft on the ground and ships at piers. This emergent capability, plus the acquisition of long-range surface-to-air missiles (SAMs), suggests that the PRC has shifted its anti-Taiwan military strategy away From coercion by punishment toward denying Taiwan the use of its air force and navy. Taiwan therefore faces a threat against which it has not adequately prepared and that offers the PRC a real prospect of achieving success before the United States could intervene. This is a very worrisome development. Taiwan’s responses to China’s enhanced capabilities remain highly conflicted, a situation that reflects the deep political disagreements that shape Taipei’s military policies. Taipei decreased its defense budgets in absolute and relative terms from1993 until 2003, with only meager improvements thereafter. These diminished efforts hardly seem commensurate with the increased threat that Taiwan confronts. They suggest either a state of denial about the threat, a gridlocked political system, misplaced faith in current systems and geographic advantages, or perhaps most disturbingly, a belief that the United States is certain to provide timely military assistance. Despite this ambivalence and its anemic defense budget, Taiwan has sought costly weapons systems from the United States, including PAC-3 (Patriot Advanced Capability, third version) missile systems, P-3 maritime patrol and F-16 fighter aircraft, Kidd-class destroyers, and diesel submarines. Taiwan is also reportedly attempting to develop offensive counterstrike capabilities indigenously, including the 360-mile-range Hsung-Feng IIE cruise missile. Both approaches represent serious misperceptions of the threats posed to Taiwan and a misallocation of budgetary resources. The PAC-3s and other potential purchases are expensive, and they concentrate Taiwan’s defense dollars on a limited range of capabilities that China is increasingly able to defeat. Offensive counterstrike weapons, furthermore, are potentially destabilizing, since China would have difficulty determining if such strikes originated from American or Taiwanese platforms. They are also unlikely to be acquired in numbers sufficient to deter China. More affordable, more effective, and less destabilizing means of defense against precision bombardment, invasion, and blockade are nonetheless available, but to take advantage of them, Taiwan must rethink its defense strategies. Rather than trying to destroy incoming ballistic missiles with costly PAC-3 SAMs, Taiwan should harden key facilities and build redundancies into critical infrastructure and processes so that it could absorb and survive a long-range precision bombardment. Rather than relying on its navy and air force (neither of which is likely to survive such an attack) to destroy an invasion force, Taiwan should concentrate on development of a professional standing army armed with mobile, short-range, defensive weapons. To withstand a prolonged blockade, Taiwan should stockpile critical supplies and build infrastructure that would allow it to attend to the needs of its citizens unassisted for an extended period. Finally, Taiwan should eschew destabilizing offensive capabilities, which could include, in their extreme form, tactical nuclear weapons employed in a countervalue manner, or less alarmingly, long-range conventional weapons aimed against such iconic targets as the Three Gorges Dam. Such shifts constitute a “porcupine strategy.” They would offer Taiwan a way to resist PRC military coercion for weeks or months without presuming immediate U.S. intervention. This shift in strategy might also be less provocative to the PRC than Taiwan’s current policy of offensive defense. A porcupine strategy would enhance deterrence, in that a Taipei truly prepared to defend itself would be able to thwart a decapitation attempt—thereby discouraging Beijing from acting militarily. Perhaps most important, such a policy would allow the United States time to deliberate whether intervention was warranted. Washington could avoid a reflexive decision that would draw it into a war against a major power that had systematically prepared for just such a contingency for more than a decade.